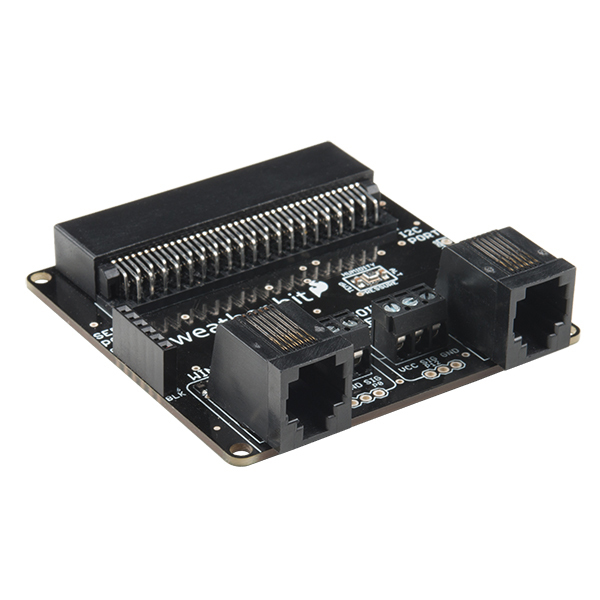 In stock 90 items in stock. 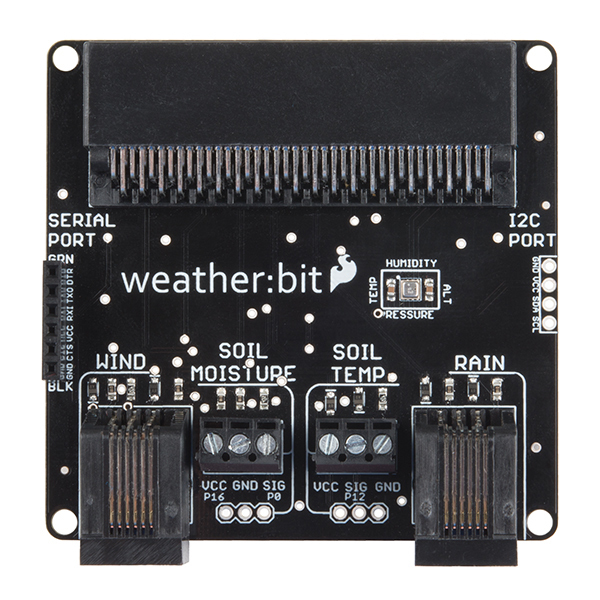 The SparkFun weather:bit is a fully loaded "carrier" board for the micro:bit that, when combined with the micro:bit, provides you with a fully functional weather station. 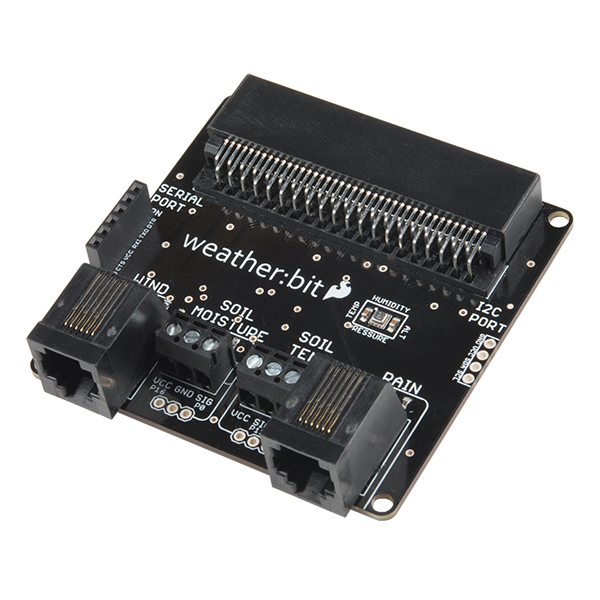 With the weather:bit you will have access to barometric pressure, relative humidity and temperature readings. 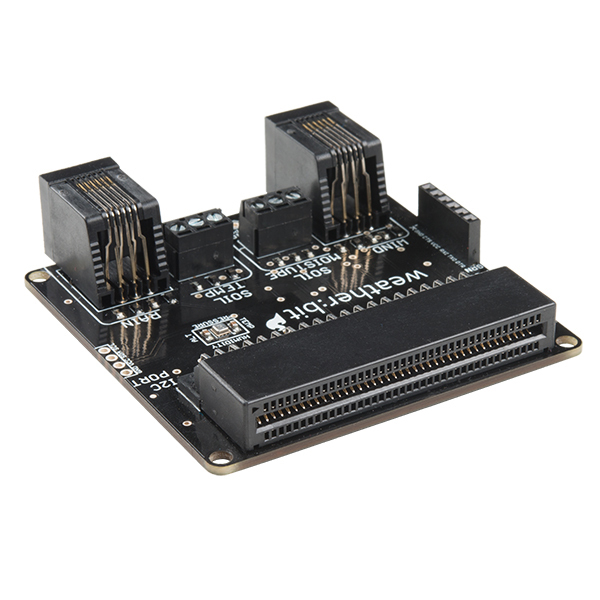 There are also connections on this carrier board to optional sensors such as wind speed, direction, rain gauge and soil readings! 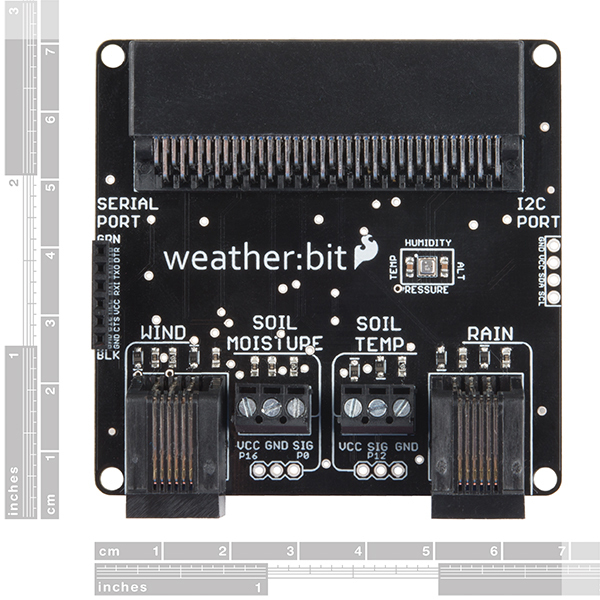 The micro:bit has a lot of features and a lot of potential for weather data collection.